Calendar of Events | Business & Tourism Creswick Inc. Transition Creswick and Creswick Community Garden present a food, produce and seed swap morning. A fun way to share your excess home-grown and homemade produce with others, reduce waste, meet people, exchange ideas. Swap your eggs for some lemons, or your tomato seeds for lettuce seedlings, worm juice for your jam... no money changes hands. Tea, coffee, and Norm’s own wood fired pizza available by donation. Held on the fourth Saturday of every month, 9.30 to 11.30am at the rear of Creswick Neighbourhood Centre. All welcome - just come along. 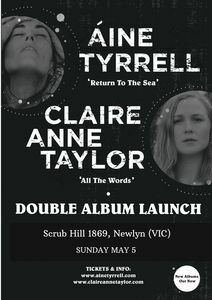 Scrub Hill 1869 presents a double album launch featuring Aine Tyrell's Return To The Sea and Claire Anne Taylor's All the Words. Click here for more information about Scrub Hill 1869. 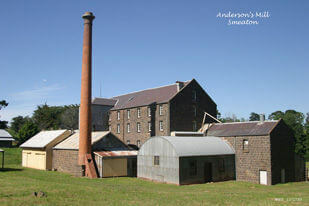 Anderson's Mill at Smeaton comes alive with a weekend of heritage crafts, machinery and classic trades. A display of radios and transmitters by the The Mills on the Air Amateur Radio Group, coordinated by the Bendigo Radio Club and linking up to mills around Australia and world wide. Ballarat and Talbot engine clubs and others will have a large array of vintage engines, tractors and machinery will be operating, with demonstrations and the opportunity to chat with experts. Victoria Quilters Inc. and The Appliqué Guild of Australia Inc. will display heritage quilts and showcase their skills. Wimmera Flour will have hand milling demonstrations and stone ground organic flour for sale. Tours of the heritage mill by Parks Victoria - see the waterwheel working, and more. Art displays and children’s activities, acoustic musicians. Community displays including the Friends Of the Kingston Avenue of Honour, the Hepburn Shire Information Centre and the National Trust. Food and coffee. Picnic area. For more information, click here to visit the National Trust website. Creswick Market, Creswick Neighbourhood Centre 9.00am – 1.00pm. A happy small town market. 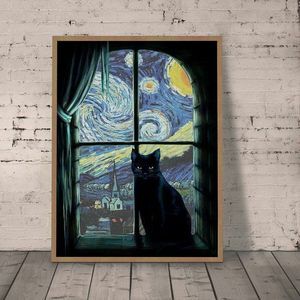 CATS come to Creswick is an intriguing look at cats through the eyes of 20 regional artists. 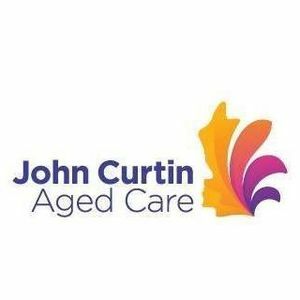 This art show is being held to raise runds for the ongoing work of John Curtin Age Care, and all work on show is for sale. Click here to visit our Facebook page for more information. This spring garden event showcases private and well known gardens, and celebrates the skills of passionate gardeners in and around Creswick, in the beautiful Central Highlands of Victoria. Enquiries: click here to email us, or call 0419 326 453 or 0405 717 321.